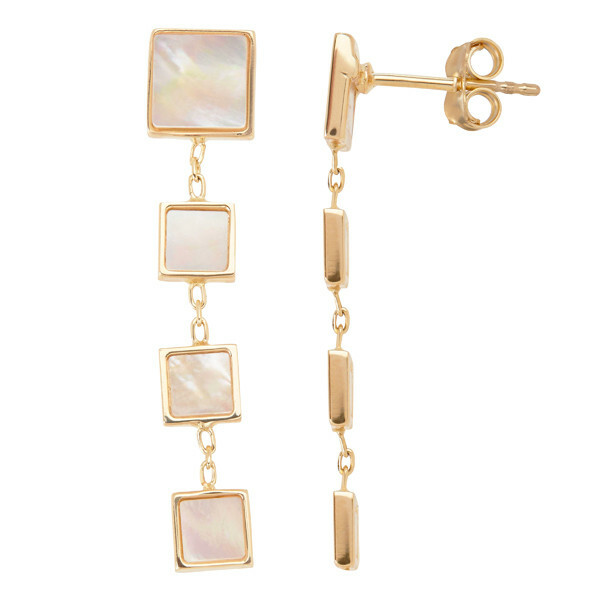 It's hip to be square with these drop earrings from the Honora Geodescent collection! Crafted in 14K yellow gold, the pretty pair features a quad of freshwater cultured Mother-of-Pearl slices that fill four-sided shapes framed in precious metal. Post backs make the pretty pair comfortably secure. These Honora earrings present a great-looking piece of geometric jewelry that you will treasure.